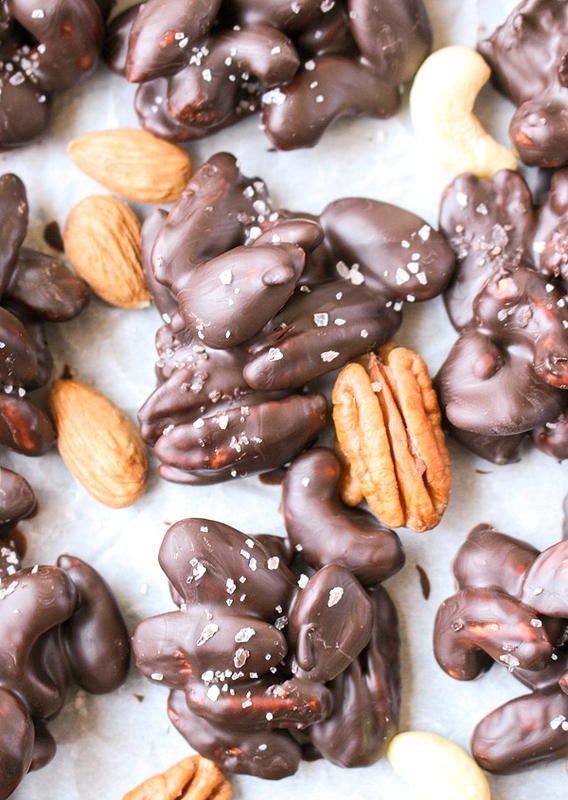 These Paleo Chocolate Salted Nut Clusters are so simple and delicious! 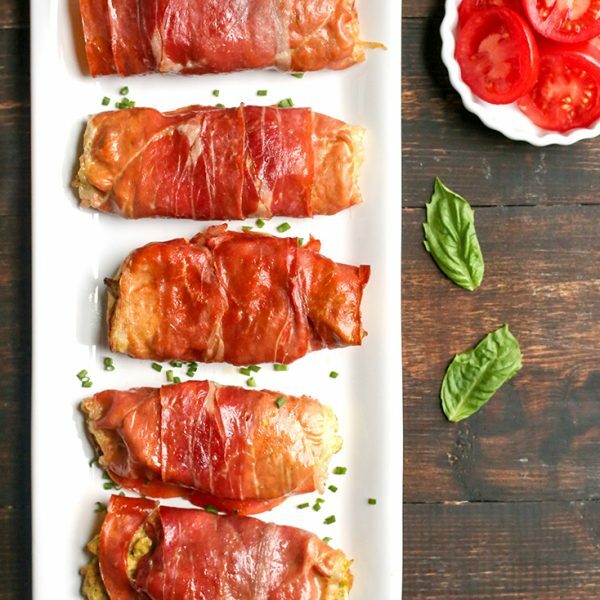 Only 3 ingredients and they make a great holiday gift. Gluten free, dairy free, vegan, and naturally sweetened. 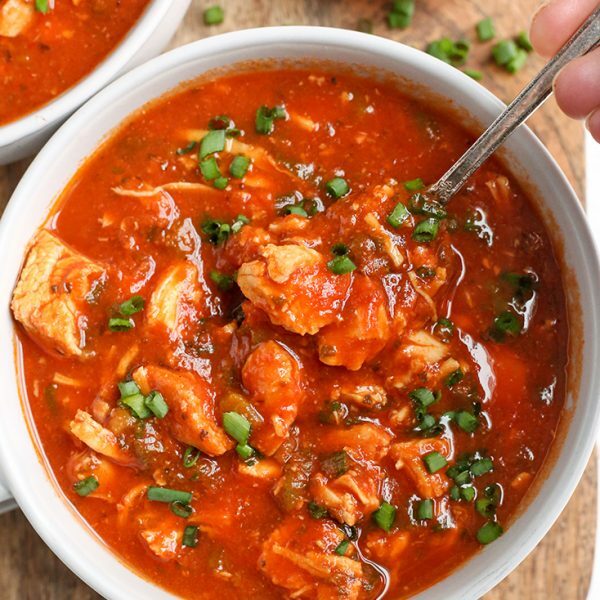 This is a super fun recipe. It’s easy enough for kids to help out and can be made in just minutes. The salty sweet combination is irresistible and will have you going back for more and more. 🙂 I use Real Salt Kosher Sea Salt which is large grain and not only looks pretty, buy adds great saltiness. This is why it’s important to use unsalted, raw nuts. 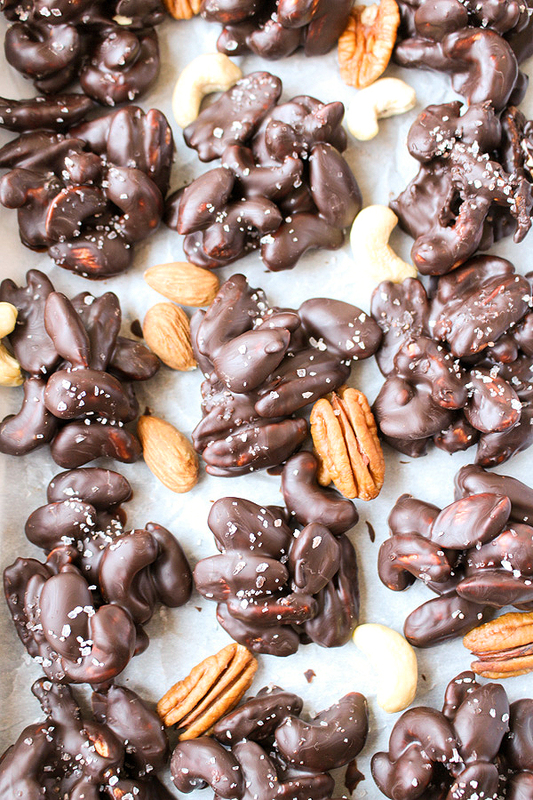 These nut clusters are a combination of cashews, almonds, and pecans and the mixture of textures is so good. You could use any favorite nut though, even just 1 if you prefer. I did a whole batch of just almonds that also came out great. They are super forgiving. My favorite chocolate is Eating Evolved because their bars only have 3 ingredients (organic cacao, organic coconut sugar, and organic cacao butter) and they are so delicious. They are legit paleo and if you need these clusters to also be strict paleo then I recommend using this chocolate. You can also use Enjoy Life chocolate chips which are gluten/dairy/soy free, but they so have a little cane juice in them making them not *strict* paleo. They are more affordable though. Totally your choice! These clusters are not overly sweet. They have a nice sweetness that makes them feel like a treat, but not an over indulgence. 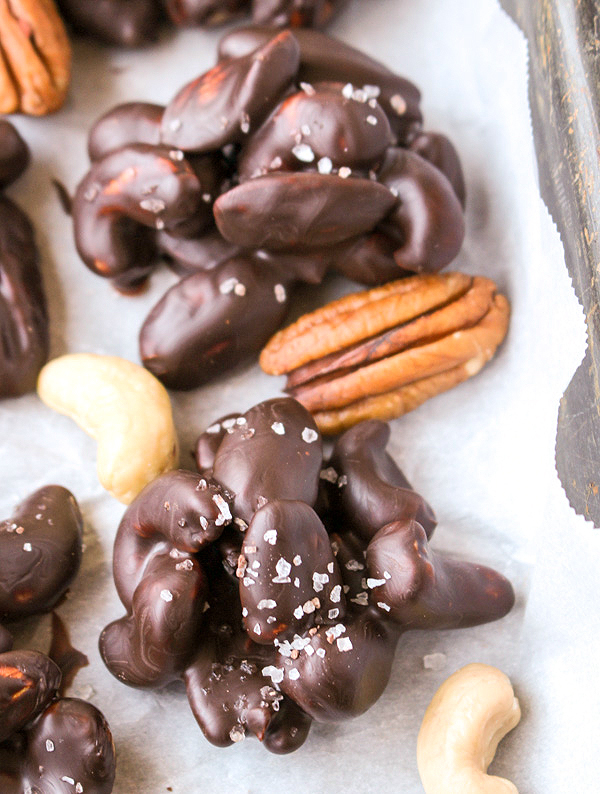 You will love this sweet and salty snack. 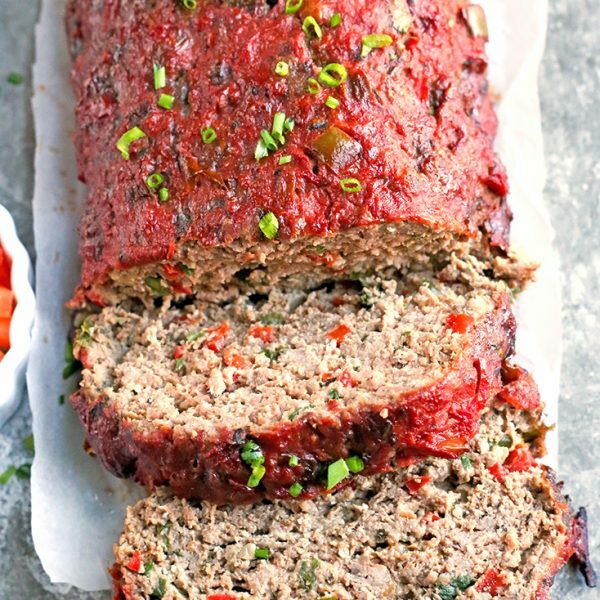 Good enough to make year round, not just at the holidays! Some more good holiday recipes: Dairy Free Paleo Eggnog, Paleo Cinnamon Roll Coffee Cake, and Paleo Holiday Cookie Cut Outs. Line a sheet tray, or a spot on the counter, with parchment paper. Place the nuts in a large bowl and set aside. In a microwave safe bowl, or glass measuring cup, melt the chocolate in the microwave in 30 second increments. Stir well between each session. It should take 1-1 1/2 (one to one and a half) minutes. 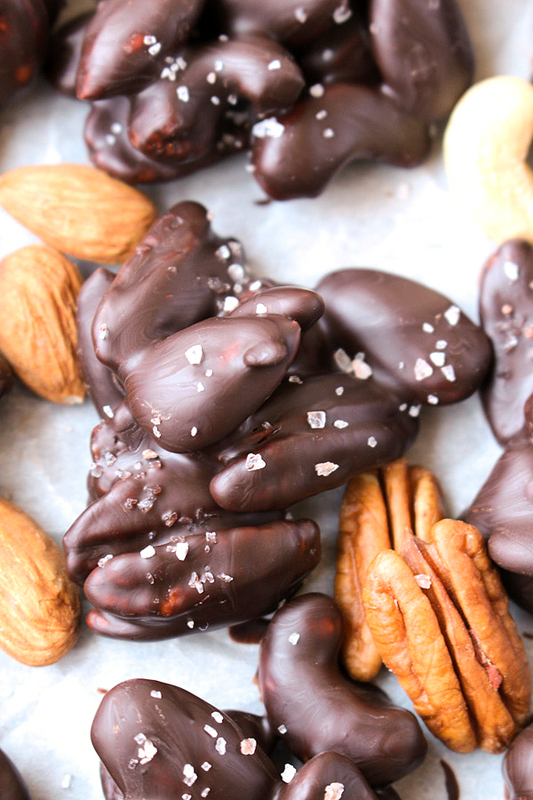 Pour chocolate over nuts and stir until they are well coated. 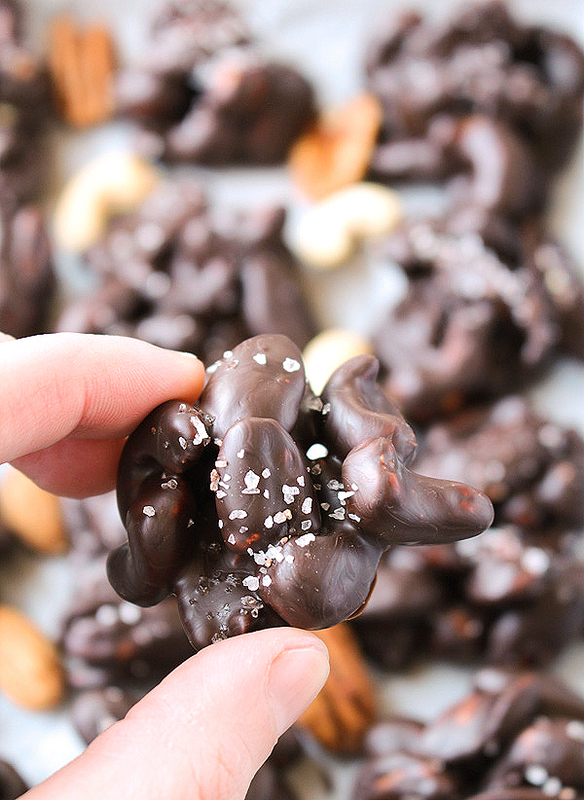 Scoop clusters onto the parchment paper, sprinkle with salt, and let fully cool. Each cluster should have 6-9 nuts to make 20 clusters. Yum! I love the combination of chocolate and nuts. The salt seems like the perfect addition. Thanks, Mikaela! 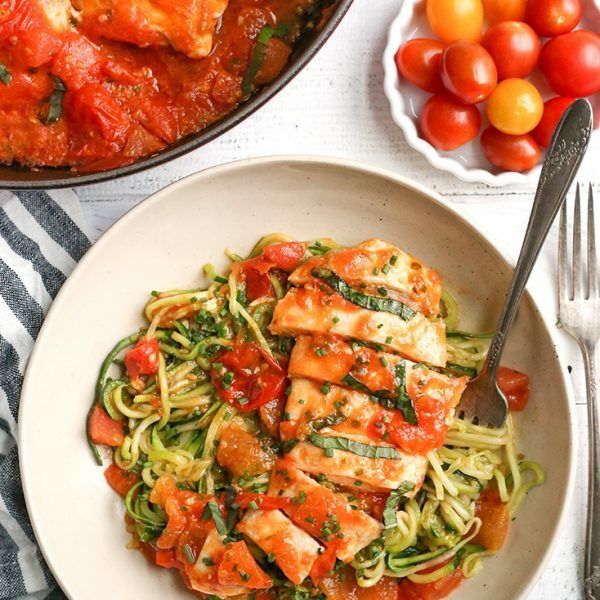 Yes- so simple, but delicious!